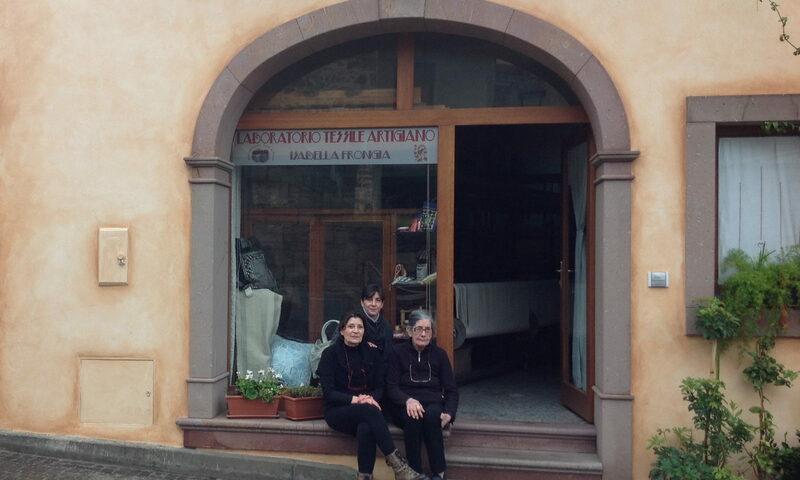 Weaving is an ancient and revered art in Sardinia, and in Samugheo, Sardinia’s weaving capital, Isa and Susanna’s studio is the oldest and most respected. Their work has been featured in magazines, newspapers, and documentaries around the world, as well as showcased in the homes of famous clients. They have won awards and competitions. Collectors from Europe, the United States, and the Middle East commission weavings, valuing the Frongia’s skill and commitment to producing the highest quality, especially as the art of and appreciation for fine handweaving are being lost. When Susanna built a weaving studio open to the public in 1960, her move was considered bold – especially for a woman. Women traditionally wove in their homes, and passed their craft from generation to generation within a family and village. Families were self-sufficient, and every household had a loom on which the women made clothing, tablecloths, napkins, bedspreads, curtains, and other household goods. Items were made with care and consciousness, and often used and gifted at ceremonies marking life events, such as weddings, comings-of-age, and funerals. Handwoven items were treasures used, worn, and valued for carrying symbolic meaning, love, and respect of the recipient and the weaver. In the 1950’s, power looms and textile mills arrived on the island, and the art of weaving started to decline. Susanna opened the studio as the practical means to support a family and preserve an art: weaving is what she did, and what she and Isa still do. Weaving is their life. The attitude, skill, and way of life of Isa, Susanna, and Anna Maria are rare today: The number of artists, especially those working in traditional methods, has diminished, and their work is rarely found outside the island. Most weavers working in small studios today use electric powerlooms, calling their weaving handmade because they stop the powerloom at intervals to perform a small amount of hand decoration before pressing a button to once again engage the automation. Large mills produce thousands of computer-designed textiles in a single run of an automated loom, providing Sardinian households and the tourist industry with useful, low-cost replicas of traditional Sardinian art. Isa, Susanna, and Anna Maria weave entirely by hand, in the same studio Suzanna founded more than 50 years ago. They work using the time-honored methods of generations of Sardinian handweavers, producing textiles that display supreme technical skill and bear the essence of their tradition, their culture, and their dedication to the art of fine Sardinian handweaving. To learn more about the art and process of traditional Sardinian handweaving, see The Art of Handweaving. To see a selection of handwoven textiles, see the showcase, visit the Facebook page for the studio, or see this page for Isa’s press kit and contact information in English or questa pagina in Italiano. You can see how the women work and learn more about handweaving by watching I Want to Weave the Weft of Time (Tessere le Trame del Tempo). This 29-minute film features Isa, Susanna, and Maria and shows the art of the tessitori artigianli and the importance of what their work and lives brings to the world. You can watch the trailer here. 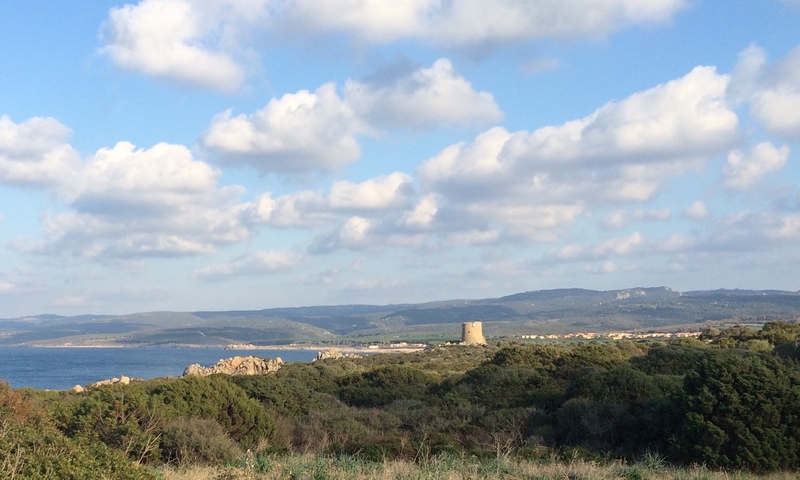 See the Sardegna Digital Library for this older video about Samugheo, featuring Isa and Susanna. This newer video about Samugheo shows a bit of the town’s culture and traditions, of course including the textiles. Isa’s studio and the Regional Textile Museum are both shown.